Darren Lee Sproles (born June 20, 1983) is an American football running back for the Philadelphia Eagles of the National Football League (NFL). He played college football at Kansas State, where he is the all-time leading rusher, and was drafted by the San Diego Chargers in the fourth round of the 2005 NFL Draft. Sproles was named as a kick returner on the Chargers 50th Anniversary Team. He joined the New Orleans Saints in free agency before the 2011 season, and broke the NFL record for most single-season all-purpose yardage the same year, with 2,696 yards. During that season he set career highs with 603 yards rushing (6.9 yards per carry) and 710 yards receiving and a combined total of 9 touchdowns. Sproles is the first player in NFL history with 2,200+ all purpose yards in 4 different seasons (2008-2011). Sproles is currently ranked 9th in career all-purpose yards in NFL history (18,318 yards). Sproles was a High school All-American as selected by Student Sports Magazine. He was also the winner of Thomas A. Simone Trophy, given to the top big-class football player in Kansas City metro area. In 1999, he rushed for 2,031 yards in nine games as a junior. In his senior year of 2000, Sproles rushed for 2,485 yards, scoring 49 touchdowns. He led his Olathe North Eagles to a 12–0 record and their fourth Kansas 6A state title in five years. Sproles was also a track star at Olathe (KS) North. He finished 2nd in the state in the 200 meters as a junior, with a time of 21.6 seconds. He also placed 4th at Class 6A States in 100 meters, with a time of 10.93 seconds, and 3rd in the 200 meters, with a time of 22.04 seconds. 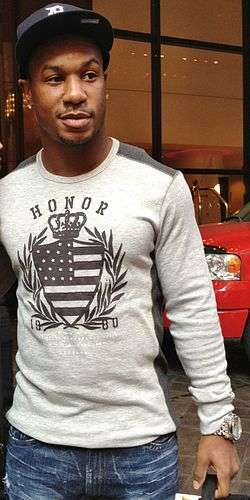 Sproles played college football at Kansas State University from 2001 to 2004, starting all games in his last two seasons and setting 23 school records. He finished 11th on the all-time college rushing yards list, with the 6th most all-purpose yards in NCAA history. He led all FBS teams in rushing yards in 2003 with 1,986. He also led Kansas State University to its first Big 12 Conference championship in 2003, a win over #1 ranked Oklahoma, 35–7. That same year he finished 5th in the Heisman Trophy voting. He graduated with a degree in speech pathology. Sproles was drafted by the Chargers 130th overall in the fourth round of the 2005 NFL Draft. On November 11, 2007, in the Chargers' 23-21 upset over the Indianapolis Colts, Sproles made history by returning a kickoff and a punt for his first two NFL touchdowns—the first player in league history ever to do so. He returned the opening kickoff 89 yards for the game's first score. After Nate Kaeding's field goal increased the Chargers' lead to 10-0, Sproles returned a Hunter Smith punt 46 yards for another touchdown for a 16-0 lead. Sproles became the first NFL player to return a kickoff and a punt for a touchdown in the same game since Dante Hall did so in 2003. On December 16, 2007, Sproles ran one yard for his first career rushing touchdown against the Detroit Lions. This was followed by an 11-yard run for his second rushing touchdown, capping off his first 100+ yard rushing game. On September 14, 2008, Sproles became just the second player in NFL history with 50 rushing yards, 50 receiving yards, and 100 return yards in one game (the other being Gale Sayers with the Chicago Bears). His stats for the game included: 53 rushing yards, 72 receiving yards, and 192 return yards. Sproles logged 317 all-purpose yards in a 39-38 loss to the Denver Broncos. He also had a 103-yard touchdown return. On January 3, 2009, during an AFC Wild card game against the Indianapolis Colts, Sproles ran for two touchdowns in place of the injured LaDainian Tomlinson, including the game-winning touchdown in overtime to beat the Colts 23-17. With 105 yards rushing, 45 yards receiving and 178 return yards, Sproles finished the game with 328 all-purpose yards in the Chargers victory over the Colts, the third most all-purpose yards by a player in a single NFL post-season game in NFL history. He was named the NBC Sunday Night Football "Horse Trailer Player of the Game" for the second consecutive week. The week following however, Sproles was stopped by the Pittsburgh Steelers. He managed only 15 yards on 11 carries, but did have 5 receptions for 91 yards including a 62-yard touchdown. On February 18, 2009, the Chargers placed their franchise tag on Sproles. He signed the tender on April 28, 2009, which was worth $6.621 million. On March 4, 2010 it was reported that the Chargers will tender Sproles a contract, which was worth approximately $7.3 million. Another team would have had to give the Chargers first- and third-round draft picks if they signed Sproles. On September 25, 2011, during a game against the Houston Texans, Sproles had 193 all-purpose yards (108 special teams yards and 85 offensive yards), with 6 receptions for 50 yards, 2 carries for 35 yards, including a 30-yard TD run, and on special teams, had only 1 punt return for 5 yards, but also had 4 kick-off returns for 103 yards. On October 23, 2011, during a game against the Indianapolis Colts, Darren Sproles had 190 all-purpose yards with 2 touchdowns. On special teams, he had 6 returns for 83 yards (4 punt returns for 27 yards and 2 kick-off returns for 56 yards), and also had 29-yard return kick-off return. On offense, he had 12 carries for 88 yards with a 16-yard touchdown run, and 6 receptions for 19 yards with a 6-yard touchdown pass. During this game, Sproles broke over 1,000 all-purpose yards mark. 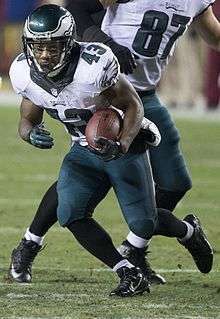 On December 26, 2011, during a game against the Atlanta Falcons, Sproles had 236 all-purpose yards. On special teams, he had 4 kick-off returns for 147 yards, including a 92-yard return in which he almost returned the football to the house, and on offense, he had just 89 yards of total offense, with 5 carries for 67 yards, 2 receptions for 22 yards but with a 9-yard touchdown pass from Drew Brees. This last-play touchdown pass in the 4th quarter helped Drew Brees break the single season record for passing yards (5,084), held by Dan Marino since 1984/ That pass gave Brees 5,087 yards for the 2011 regular season with one game remaining. On January 1, 2012, in the last regular season game, a 45-17 blowout of the Carolina Panthers, Sproles had 168 all-purpose yards, in which he had 5 returns for 99 yards (2 kick-off returns for 45 yards and 3 punt returns for 54 yards) on special teams, and broke the NFL record for all-purpose yards in a season (2,696). Sproles played in both of the Saints' playoff games, scoring 3 touchdowns, including a 44-yard catch and run in the fourth quarter of a celebrated back-and-forth contest against the San Francisco 49ers that the Saints ultimately lost 36-32. On November 2, 2012, Saints interim head coach Joe Vitt announced that Sproles would be out indefinitely due to a fractured hand. Sproles returned in Week 12 and played in the Saints' remaining games, finishing the season with 48 rushes for 244 yards and 1 TD, 75 catches for 667 yards and 7 TDs, 18 kickoff returns for 483 yards, and 23 punt returns for 183 yards. In 2013, Sproles played in 15 regular season games, running for 220 yards and 2 TDs on 53 carries, making 71 catches for 604 yards and 2 TDs, 12 kickoff returns for 225 yards, and 29 punt returns for 194 yards. He played in both of the Saints' playoff games, with 7 runs for 31 yards and 9 catches for 63 yards. In his first regular season game with the Eagles, against the Jacksonville Jaguars, he carried the ball 11 times for a total of 71 yards and had 1 rushing touchdown (49 yards, which was the longest run of his career). He won offensive player of the week in Week 2 against the Indianapolis Colts, rushing for 26 yards and a touchdown on 4 carries and catching 7 receptions for 152 yards, 2 of which were over 50 yards. In 2014, Sproles played in 15 regular season games, running for 329 yards and 6 TDs on 57 carries, making 40 catches for 387 yards, 1 kickoff return for 15 yards, and 39 punt returns for 506 yards and 2 TDs, good for second place on the Eagle's all time single-season PR yards, and the most in the NFL in 2014. For his efforts, he was elected to his first career Pro Bowl, where he was drafted as a return specialist but contributed on offense, recording 3 carries for 42 yards and 6 catches for 79 yards. He was also named second team All-Pro as a return specialist, his first time on an All-Pro team. Sproles was given his largest workload since 2009 in a Week 13 game against the 10-1 New England Patriots, due to the ineffectiveness of Murray and Mathews being hurt. Sproles had 15 carries for 66 yards, 4 catches for 34 yards, ans 5 punt returns for 115 yards and a touchdown in the 35-28 upset win. Sproles followed it up with a solid game against the Bills, with 7 carries for 41 yards and a touchdown in the 23-20 win. On July 29, 2016, Sproles signed a $4.5 million one-year extension keeping him in Philadelphia until 2017. Sproles was an immediate weapon out of the backfield, catching 10 passes for 160 yards and a touchdown in the first 3 games of the season, however he was also held to only 51 yards on 19 carries rushing in that same timespan. In a week 8 loss to the Dallas Cowboys, Sproles took over as the lead back, carrying the ball 15 times for 86 yards and catching 5 passes for 17 yards. Sproles would retain the lead back role the following week against the New York Giants, rushing 13 times for 57 yards, catching 3 passes for 14 yards, and gaining 76 yards on 2 punt returns. On November 7, the day after the Giants game, head coach Doug Pederson officially named Sproles as the starting back. Sproles' father Larry played running back at MidAmerica Nazarene University. Larry was 5 ft 5 in (1.65 m) tall. His mother Annette died of cancer in April 2004. ↑ Author unknown (2010-03-04). "Agent: Sproles to remain with Bolts". Archived from the original on 2010-03-09. ↑ Bell, Jarrett (January 6, 2012). "The Bell Tolls: Sproles is Saints' perfect fit". USA Today. Archived from the original on 2012-01-20. ↑ Hanzus, Dan (2012-11-02). "Darren Sproles breaks hand, out indefinitely for Saints". National Football League. Retrieved 2012-11-02. ↑ Hanzus, Dan (2014-03-13). "Darren Sproles traded to Philadelphia Eagles". National Football League. Retrieved 2014-03-13. ↑ Patra, Kevin (2016-07-29). "Darren Sproles signs contract extension with Eagles". NFL.com. Retrieved 2016-07-31. ↑ Berman, Zach (2016-11-07). "Doug Pederson: Darren Sproles is the Eagles' No. 1 Running Back". philly.com. Retrieved 2016-11-08. ↑ The Associated Press. Retrieved from https://www.google.com/hostednews/ap/article/ALeqM5jEE0YZGb7YL4r3npKk9BlGOIj_uQD95ILIAG1. ↑ Derek Boss, "Sproles loses his mother to cancer", The Topeka Capital-Journal, April 28, 2004. ↑ Horn, Jonathan (2015-01-07). "Darren Sproles makes big housing moves".